It's cozy! It's comfy! It's . . . a moose! And it's also a slipper. 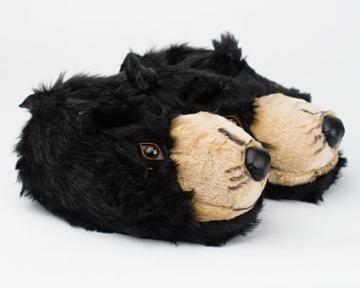 Lovers of furry forest friends will adore these moose slippers fashioned from fleece fibers and a thick foam inner sole for an extra soft and toasty touch. A treated outer sole, reinforced stitching, and elastic stretchers provide extra support, comfort and durability. 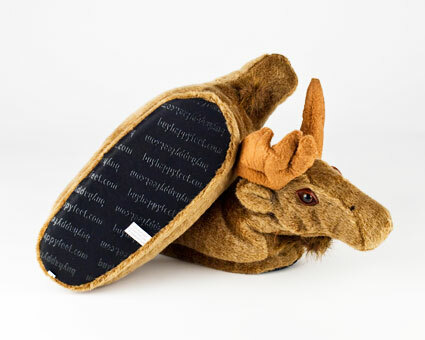 These deluxe Moose Animal Slippers cover the entire foot and come in five sizes. 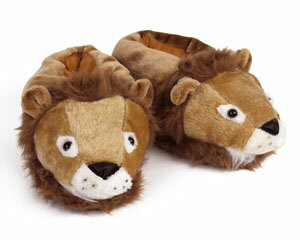 I don't normally write reviews, but the slippers and service are exceptional. These look way better in person. Detailed and soft. 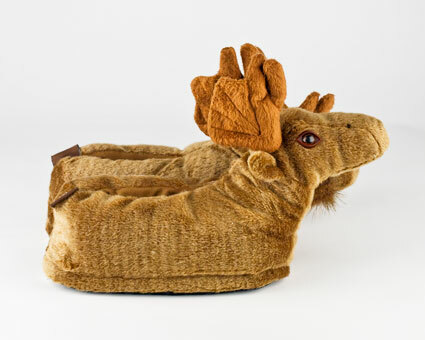 Great gift idea for any moose lover. Very cute, fit my husband well ( which is unusual). Very comfortable, and he really likes them ! 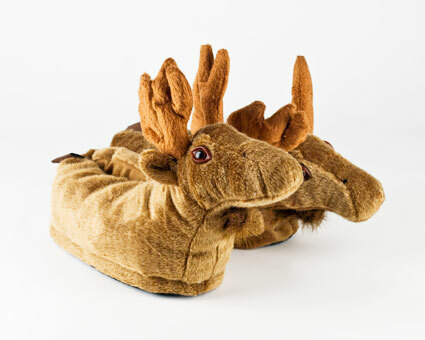 Bought the moose slippers for a Christmas present. Can't wait to give them. They are a hoot! They are just as they were described and pictured. I am very pleased with them and the price was what I expected to pay. 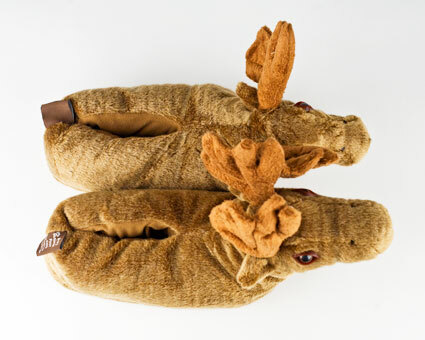 I received my moose slippers today. They really are so cute, but they're also comfortable and sturdy. I like the thick sole that doesn't make me feel like my foot is bare. My only complaint is that I was expecting an XL and received a Small. 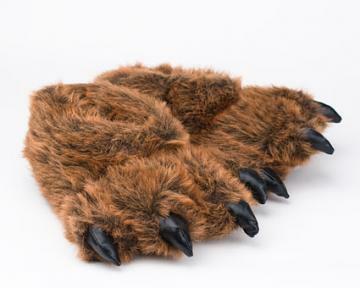 I can't be certain that I ordered it correctly, so I can't really hold bunnyslippers.com at fault.